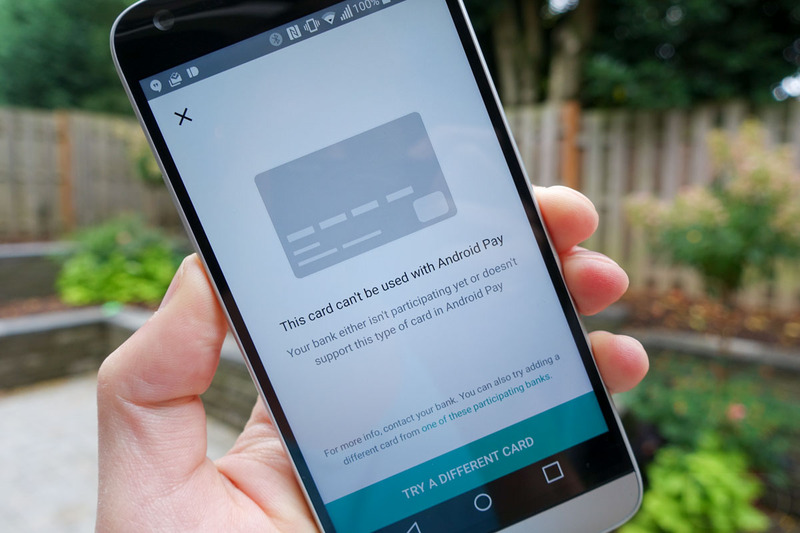 When Android Pay first arrived, Google allowed users of Google Wallet the chance to migrate their already-working debit and credit cards that had been set up for tap & pay to come over to the new service. That offer was a temporary one, clearly, because Google has announced via Android Pay support that those old grandfathered cards will be cut off on October 14, 2016 if they aren’t one of their official participating banks. On October 14, if your old cards are not supported, they will simply stop working when you try and make mobile payments. If you try to add those cards to Android Pay going forward, you will see the screen above, which just showed up for me as I tried to add my PayPal card. Google also says that if you go into Android Pay, tap on a card, and see the message “Change Google Payments PIN,” the card isn’t supported.